Summertime equates with many things, especially, gelato - or ice cream. 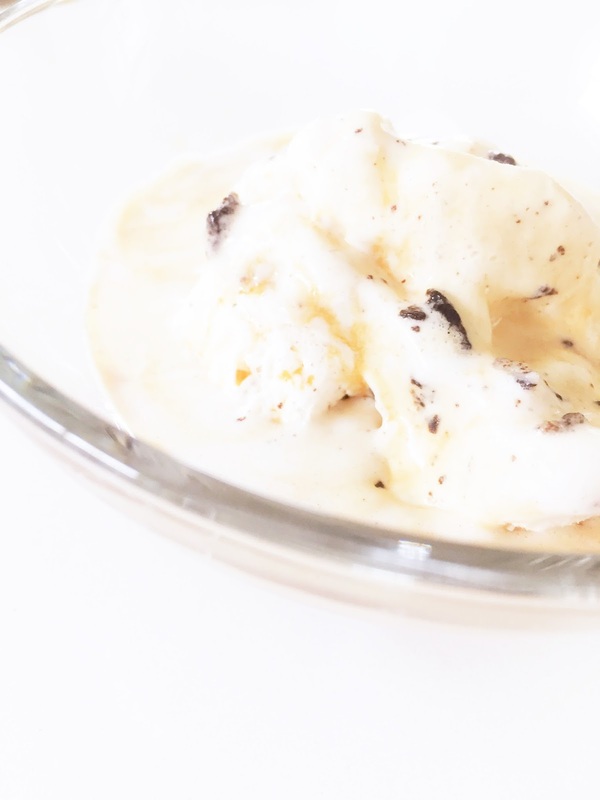 While there are a variety of flavours and toppings to choose from, one of my all-time favourite gelato desserts has to be the Italian "affogato" dessert. The title of the dessert "affogato," which means "drowned" in Italian, perfectly explains what this dessert is all about - the ice cream is essentially "drowned" in espresso. Sounds simple? Because it is! This dessert is oh so easy to make, and oh so refreshing on that hot summer day! To start, place some vanilla ice cream into a bowl or cup (traditionally, this dessert is often served in a cup, however it all depends on how much you want! ;) ). 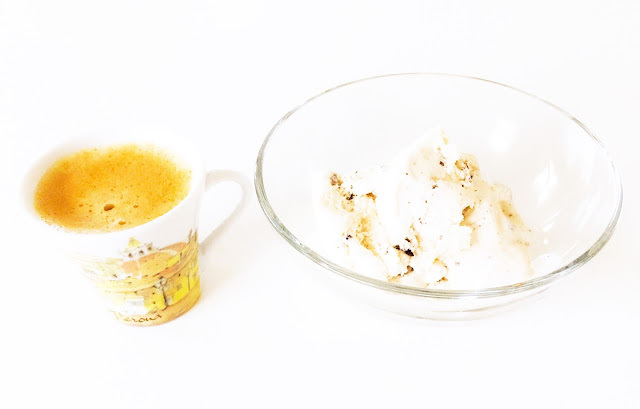 Although vanilla is the preferred ice cream flavour for this dessert, you could actually use any kind of ice cream that you enjoy mixed with the espresso. For the purpose of this post, I used a chocolate chip ice cream, as I enjoy that little extra punch of chocolate mixed with the espresso! Next, prepare a shot of espresso! Voilà! 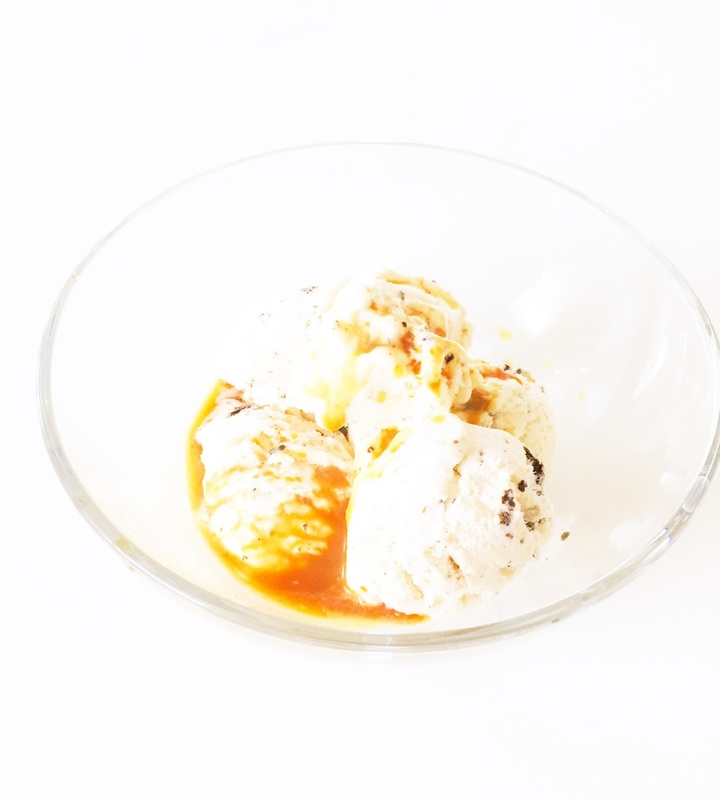 You have your affogato dessert! Notice how the espresso melts the ice cream, creating a beautiful creamy texture! Enjoy!